I prepared a list of questions after I reviewed the financial plan from the Vanguard advisor. She called me at the appointment time, on time. She also set up a web video conference so that I could see her. According to disclosure documents, the advisor is in her early 30’s, with CFP® credential. She’s been with Vanguard between 5 and 10 years, in the advisor role for 3 years. I’m listing some questions and the gist of her answers here for you to see the breadth of the consultation session. Some questions were a quiz. She probably knew and just went along. Question: The plan recommended Vanguard funds in Fidelity accounts. Is it better to use Vanguard ETFs there? What about Fidelity’s index funds? Answer: Using Vanguard ETFs is better because Fidelity doesn’t offer Vanguard Admiral shares. Fidelity Spartan funds are just as good. Question: The plan said we should sell CDs and buy bond funds. Should we really do that? Question: Right now we overweigh value and small cap stocks. Is it OK to overweigh value and small cap? Answer: If you understand the strategy, moderately overweighing value and small cap is fine. Question: How do we manage withdrawals after we retire? Just set up monthly automatic withdrawals from stock and bond funds? Answer: Keep 1-2 years worth of expenses in cash. Replenish once a year. Question: Where should fixed income go? Muni fund in taxable or taxable bond fund in IRAs? Answer: Keep munis in taxable until you retire. Switch to taxable bond fund in IRAs after. Question: Should we get more term life insurance after we retire? Answer: No, you don’t need it. Question: If we buy a home after we retire, should we pay cash or get a mortgage? Answer: Get a mortgage if the rate is low (3-4%). Pay cash if the rate is high (7-8%). Question: Should we contribute to a Roth 401k instead of traditional 401k? Answer: Stay with traditional. Slowly convert to Roth after you retire. Pay tax on the conversion out of your taxable account. Question: From which accounts should we withdraw after we retire? Answer: Draw from taxable until you are 59-1/2. Then take from traditional IRA, which reduces your RMD. Draw from Roth last. Question: Should we claim Social Security early or late? Answer: In general wait at least until full retirement age. Look at your portfolio size then. Take it early if your portfolio is running low to give it a break. Question: If we don’t claim Social Security until 70, will we still get Medicare? Answer: You will still get it at age 65. Question: The retirement outlook says our success rate is very high. Can we really withdraw 4% plus inflation for 50 years? Answer: With a long retirement horizon we are recommending 60% in stocks. You are also going to stay at that level for a longer time. This will help the growth, which makes your withdrawals sustainable. It was a good conversation. Even though the written plan was heavily focused on portfolio construction, the advisor was able to speak to a wide array of topics such as the withdrawal rate, converting to Roth, Social Security, life insurance, home mortgage, and so on. I read people say Vanguard is rigid or cookie-cutter. The written plan may give that impression but the advisor was actually quite reasonable. She was fine with my tilting to value and small cap, and with using CDs and muni fund instead of the total bond market fund. She even said Fidelity Spartan index funds were just as good as Vanguard funds! We can quibble with some of her answers and analyze to death how the answers can be improved. I would say she hit the target, maybe not exactly bullseye for every question but on target. I would be happy if someone not as obsessed with these topics received this set of answers. I am very impressed with your consultants remarks. Taylor – That recommendation was specific to my situation, not across the board. The reason is my high tax rates right now and expected low tax rates in the future. Harry, thanks for sharing. Now that she confirmed that you can retire now, are u going to do it now? Not yet. Two more years. with mine, i put in my comments, that i would like to talk to the advisor before it churns out the paper advice, but guess that is not an option, to me the paper version should be the final version, not the conversation. The conversation isn’t the last step. You get a final plan after you talk to the advisor. Both my draft plan and my final plan included outside investments. we’ll see if the CFP is going to strongly think I should be in 60% stocks, I’d be surprised if not, as that is the VG mantra, as much as I like VG…. I’ve had 2 annual reviews with VG, pleased with the level of their CFP expertise and the fact you “keep” the same CFP year-on-year. 51, hoping to get out by 54 – they say I can make it! Worth the time, especially if your company pays for it (ours does). I Just had a consultation with a VG CFP, reviewing the financial plan she did for me. Some thoughts: the plan only shows you 5 years out and it’s just for illustrative purposes. Can’t remember exactly what that means, but I was told that obviously they’re not going to show the 10,000 scenarios that were run. My plan showed an 87% success rate. Vangurad is comfortable with 85% and higher. When I asked does that mean there’s a 15% chance of running out of money, I think i was told technically yes, but that I shouldn’t be concerned with the tails showing success rate of less than 85%. My plan was run with 55/45 allocation (moderate). If I wanted a more conservative allocation I would have to use 45/55 (conservative). A 50/50 allocation is not possible. When I asked about how to spend money in retirement, she said typically one spends down the taxable until depleted and then from the trad IRA and then from the Roth. Nothing about possibly spending from the Trad IRA to reduce the RMDs. I liked the CFP I spoke with. She’s been with VG for 4 years and has her CFP and has been advising for 1 year. I wonder if that’s enough experience. All comments and feedback would be appreciated. There may be a misunderstanding about “the plan only shows you 5 years out” or maybe you made a typo. My plan went out to age 95 or 100. Yes, sorry, the plan went to age 100, but I could only look at an illustration of 5 years. Wondering why I didn’t get an email notification of your reply. Thanks. Hi, Harry. So you think Vanguard financial plan’s stating you can retire today is highly optimistic, and that you plan to retire in 2 years, instead. Why 2 years is your magic number? 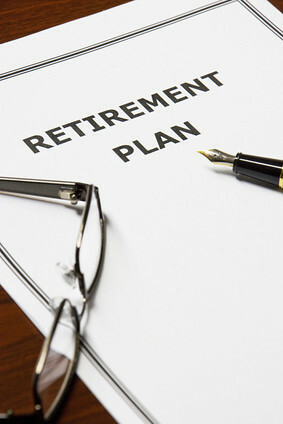 Did u get the chance to complete the Fidelity retirement income planner? Does it tell you can retire today, too? My Vanguard financial plan tells I can retire today (just finished talking with the CFP again), but since it’s highly optimistic, I was wondering which one is most realistic planner? and why you decide to wait for another 2 years to retire. Thanks again, Harry. Love your posts, as always. I decided to wait 2 years because I want collect some deferred pay on work already done. See Unvested RSUs As Golden Handcuffs: What To Do? I played with the Fidelity calculator a little bit. I don’t remember what it said.